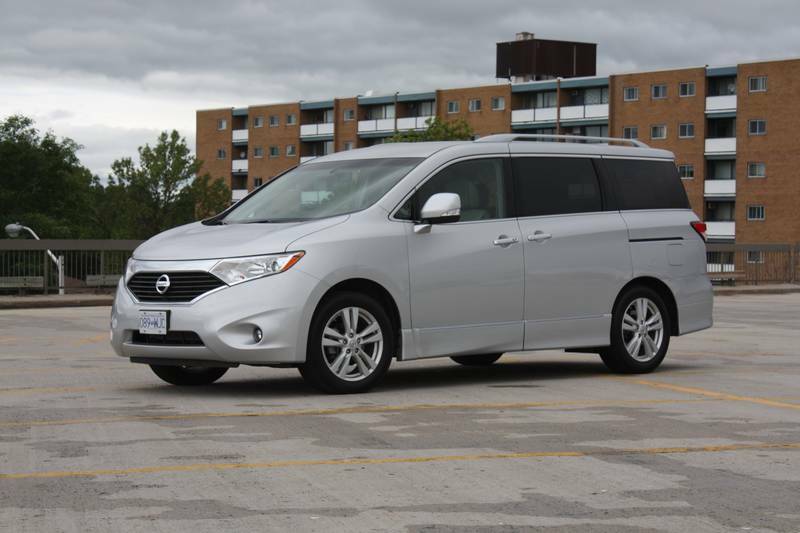 The third-generation Nissan Quest was a styling standout among a stodgy field of minivans, but it’s also a lesson in why standing out is not always worthwhile. Click here to read my Autos.ca Used Vehicle Review. You might expect a company that builds crazy fun cars like the 370Z and GT-R to have an entire line-up of vehicles infused with a fair amount of amusement. Indeed, Nissan is no slouch in building performance-oriented vehicles, such as the Maxima and the SE-R version of the otherwise dull Sentra, not to mention a couple of Infiniti models that challenge the world’s best sport sedans. 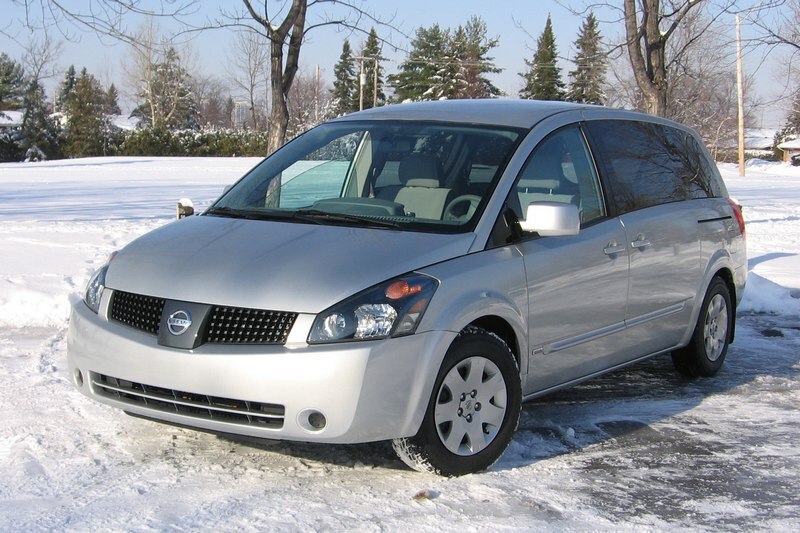 However, it seems Nissan’s supply of fun factor ran out when it got around to putting together its redesigned 2011 Quest. Certainly, no one gets into a minivan expecting it to drive like a sports car, but even taken on its own merits the Quest was disappointing, with ponderous handling and vague steering, two aspects that were pulled sharply into focus on a back-roads cottage getaway. 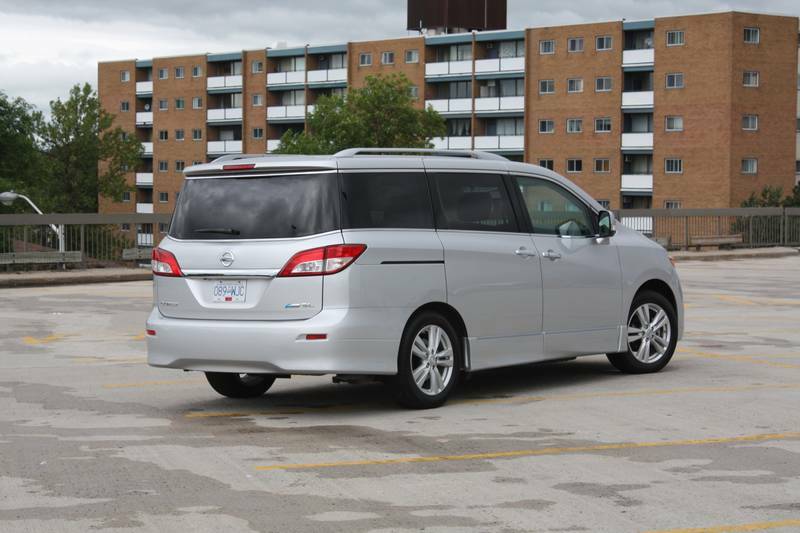 I’ll admit that my expectations were coloured by a recent test of the also-new Honda Odyssey, a van that carries itself with far more poise, with a tight suspension and unexpected cornering ability. To be fair, the Quest’s soft ride won’t go unappreciated; that’s a great thing in a vehicle designed as a people-mover, and means it will attract buyers who appreciate the cushy ride of the Dodge Grand Caravan and Chrysler Town & Country twins. The Quest’s interior does play against type. One of its best features is the third row of seats that fold away forward, instead of back and down into the well behind them. This creates a permanent, covered “trunk” available no matter the positioning of the rear seats, a real, practical benefit for everyday use. However, another against-the-grain design element doesn’t work as well: the second row seats that can’t be removed from the van. 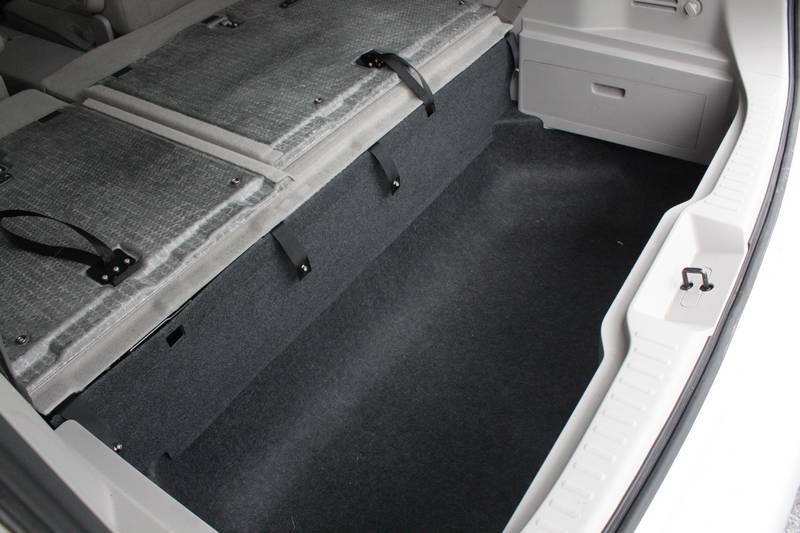 They do fold, but the result is a higher load floor with all seats down than in other vans, which limits the Quest’s maximum cargo space. Still, the Quest is a big vehicle, and the reduced cargo volume will only be a problem for transporting very large items too tall for the interior. 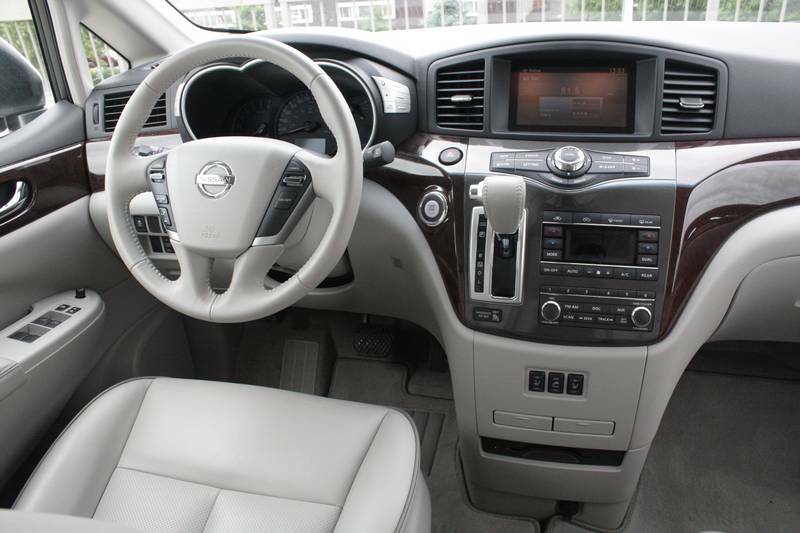 Nissan’s other interior trick is to play with perceptions to make the front seats spacious and yet give the driver the visual impression that he or she is piloting a vehicle sportier than a minivan. The dash and cowl are high and the windshield header squeezes down lower than in most vans, lending a gun-slit effect to the forward view. At the same time, the door panels and side glass are pushed out to create a spacious environment for the driver and front passenger. The overall effect – and I’ll let you decide whether this is a good thing – is like sitting in a bathtub with a chopped roof. The front and second row seats are wide and comfortable, the fronts nicely sculpted for long-haul comfort. The third row suffers from the usual minivan maladies, with a bottom cushion too low and too short on thigh support for adult legs. Headroom is generous throughout, but legroom feels tight in the second and third rows. Getting in is made easy by a low step-in height. The second-row seats slide forward to ease access to the third row, but not quite far enough to make it truly easy for adults. Toyota got this part right, with second-row bottom cushions that fold up as the seat is moved forward, to make more space. Looks-wise, there’s a lot of Infiniti (Nissan’s upscale brand) in the Quest’s dash; panel fits are easily as good, but the materials aren’t. One glaring problem, literally, is the way that the glossy wood and plastic trim at the top of the centre stack reflect the midday sun straight into the driver’s eyes. Also, the climate and radio controls are partly obscured from the driver when the transmission shift lever is in the “drive” position. Nissan’s well-known 3.5-litre V6 fills the Quest’s engine bay, generating 253 horsepower and 236 lb-ft of torque. This is the first Quest to use the continuously variable transmission (CVT) that has become common in other Nissans, and as is common to all Nissan CVTs, this one works smoothly. It can be slow to “downshift” when more power is needed, however. Natural Resources Canada’s fuel consumption ratings are 11.1/8.1 L/100 km in the city and highway test cycles, respectively; in real-world driving, my tester averaged 13.3 L/100 km in the city and what I thought was a disappointing 9.6 L/100 km over 400 km of highway driving at speeds in the 80 to 110 km/h range. With a starting price of $29,998, the Quest lines up pretty closely with its import rivals, but costs more than the Dodge Grand Caravan. Get into the higher-end trims, and the Nissan gets pricey, with the top-end LE running $48,498. If you’re after lots of luxury and technology, this is the most expensive van you can buy, particularly if you add the $2,000 dual-pane sunroof to the LE. My tester was the SL, positioned two rungs up from the base trim and priced at $38,798. All Quests include cruise control, a tilt/telescoping steering wheel, power mirrors, six-way manual driver’s seat, keyless entry and pushbutton start and a removable second-row console. The SV model adds alloy wheels, fog lights, seat heaters, upgraded stereo display, USB port, auto-dimming rearview mirror, and dual-level front centre console and conversation mirror. Basic kit in my SL model included 18-inch wheels, leather-wrapped steering wheel with audio controls, Bluetooth, heated side mirrors, power liftgate and sliding doors, automatic headlights, leather seats, eight-way power driver’s seat and four-way power front passenger seat, one-touch-release third row seats and a backup camera. 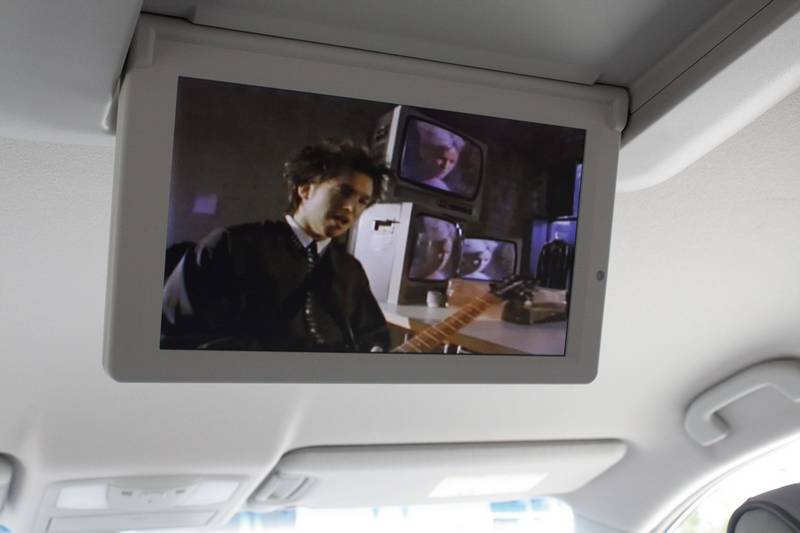 My tester also had the optional, $2,100 DVD player that will run video through the seven-inch screen in the dash, and an 11-inch display that folds out of the headliner for rear-seat riders. With that add-on, the total MSRP was $40,898, plus $1,600 freight. The Quest does day-to-day minivan stuff well: it’s easy for people to get into, comfortable once they get there, and includes a handful of practical cargo touches. On the downside, the Quest is no deal in its higher trim levels, and the dull drive is a turn-off even by minivan standards. As a vehicle type, the minivan is nearly 30 years old. Therefore, most of the major innovations have come and, if they were good ideas, stuck around. 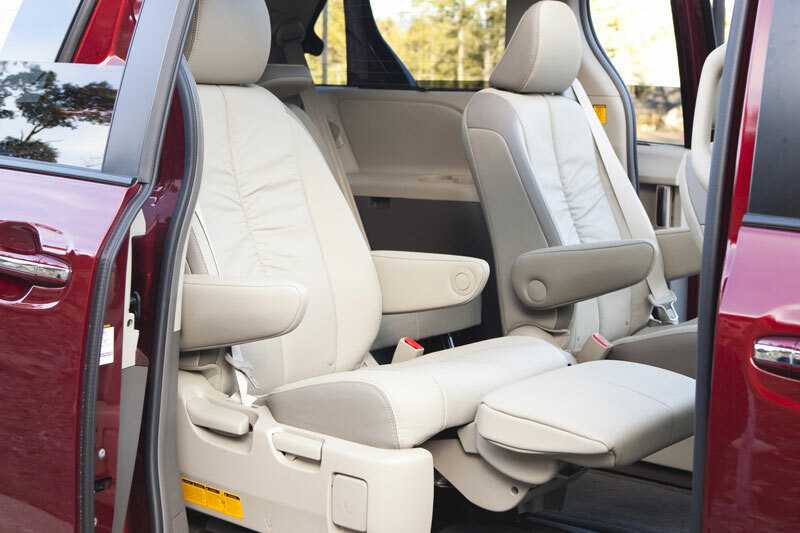 Think along the lines of dual sliding doors, seats that fold away into the floor and, gimmicky as it might be, the swivelling second row seats and hideaway table offered in the Dodge Grand Caravan. So, what’s left? Not much, but a handful of manufacturers have included a couple of small, but useful, features in their recently-redesigned minivans. 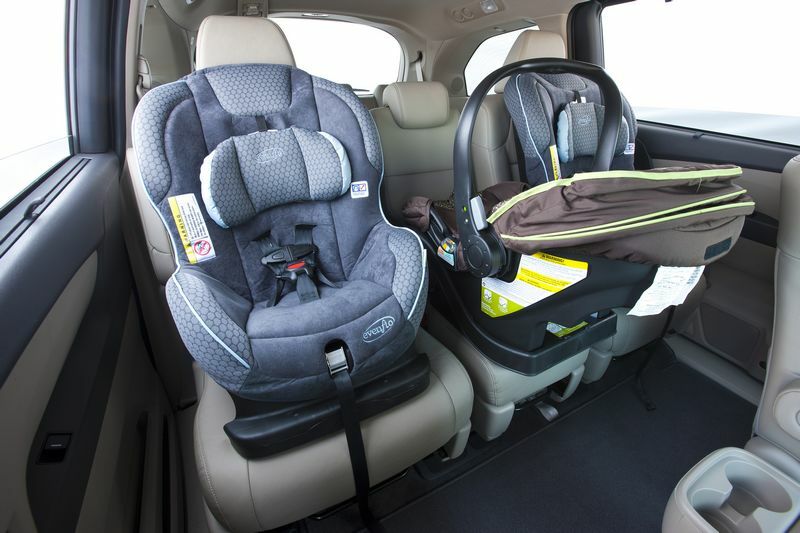 In the Honda Odyssey, the second-row seats can move a few inches side-to-side, providing space to set three child seats across. And here’s a why-didn’t-I-think-of-that feature: a garbage bag ring that folds out of the back of the front-seat centre console – no more searching for an out-of-the-way place to hang a trash bag during those rolling road-trip fast-food lunches. 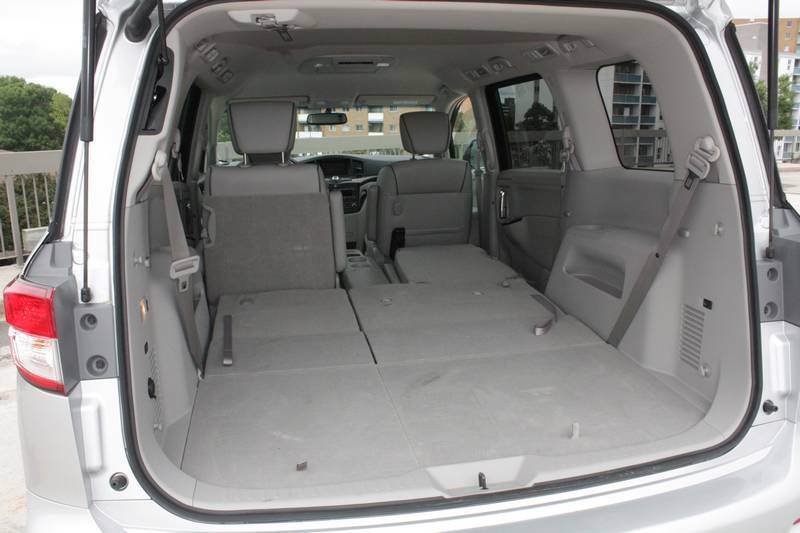 Every minivan available at the moment has a third-row seat that folds away into the floor; the cavity it fits into can be used for cargo when the seat is upright. But Nissan did something unique in its 2011 Quest by designing the seat to fold forward, instead of toward the back, leaving that storage well free even when the seat is stowed. Hard panels that fit over the opening provide out-of-sight storage for valuables. Less practical, but still cool, is the second-row lounge seat that can be optioned into the Toyota Sienna, creating the kind of luxurious seating normally reserved for ultra-luxury sedans. 2011 Toyota Sienna Limited V6; photo courtesy Toyota. Click to enlarge. What will they think of next for this most versatile of vehicle type? We’ll have to wait a few years, until the next round of redesigns, to find out.